Writing is something that can come naturally at times, but at other times it can take lots of willpower to muster. If you find that you easily run into writer’s block, there are a few strategies you can implement to get around the lack of creativity and spark productivity. Many writers make the mistake of immediately jumping into their piece without a plan or outline in place. They might have a solid introduction in mind, but when it’s time to start writing the meat and potatoes of the piece, they draw blanks. This is because there is no direction or outline in place. This can easily be combated by taking the time before starting the piece to create a solid outline with major points and topic sentences. This will help by showing you exactly what to write about, and it will greatly reduce the chance that you’ll wander off topic or get stuck. Simply enough – if you’re not feeling creative, then don’t write. Try to note your patterns of creativity. Maybe you feel like writing the most during the morning. Maybe you’re a night owl and you like to write at night time. Whatever the case, carve out some time to write when you feel most productive. Many people make the mistake of trying to correct their mistakes and edit while they’re still in the writing/drafting phase of their piece. Jumping between writing and editing can slow down the overall writing process, and it can even cause you to lose your train of thought or motivation. Make it a point to not worry about the editing process until the piece is officially finished. Once you’ve created a basic draft, go back and spend some time solely editing. You can also try to break up your writing into sessions for easier flow and quicker production time. Trying to get out lots of content in one sitting can seem overwhelming, and in turn, it can dull your creativity and exhaust you. Either take frequent breaks or designate various times throughout the day to work on your piece. You will find that it’s a lot easier to look at your piece as a 10 part task rather than a huge chore. Lastly, try using a timer to get blocks of work done. For example, you can allow yourself an hour for each section of a piece. Using a timer to ensure this creates a sense of competitiveness, and it creates somewhat of a deadline to get your work done. You can set a timer for the entire piece, or you can break it up into smaller segments. Either way, you should see an improvement in your overall production time. Speeding up your writing shouldn’t have to feel like a chore. Try implementing various strategies such as using timers, making outlines, or editing later to slash your production time into a fraction. Most of all, remember that writing takes practice and it will come more naturally and easily over time! A blogger can wear many different hats – they could be web designers, marketers, social media gurus, photographers, and any other occupation that applies specifically to their niche. But bloggers are always writers. And as with any type of writer, it takes constant practice to hone your skill. But a blogger’s audience and objective is unlike those of other types of writers: journalists, magazine writers, copywriters, novelists, etc. Writing advice regarding character development or the inverted triangle doesn’t apply to bloggers. 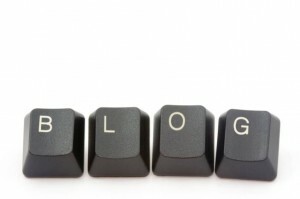 So what pieces of writing tips are specifically for writers who publish their work on blogs? We’ll fill you in on a couple methods you can practice to perfect your writing skills as a blogger. This piece of advice is true for every type of writer, but works differently for bloggers. Bloggers need to think about the demographics of their audience as well as the fact that their audience is reading their work online. People who read blogs are looking for something that is entertaining and informative, but more importantly, easy to digest and a quick read. Use numbered lists, bullet points, and short paragraphs to achieve this. 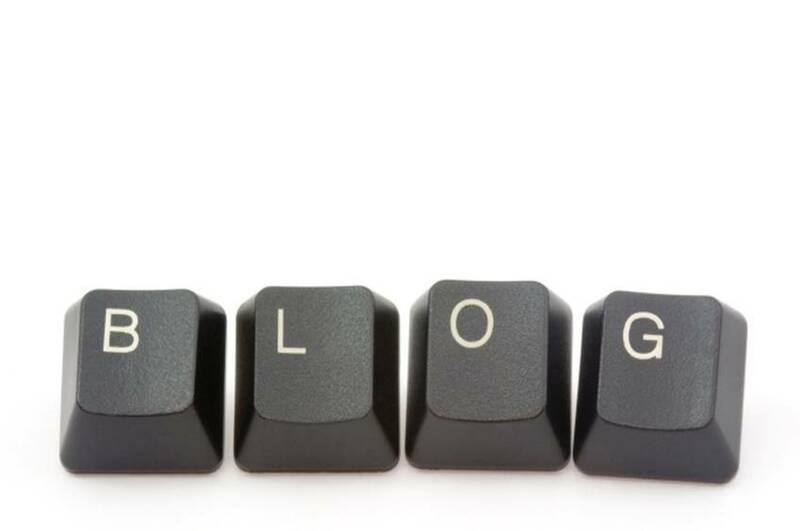 There are literally millions of other blogs your audience could be reading right now. So what keeps your readers on your website? Other than your impeccable blog design and undeniable expertise, it’s your ability to relate to your readers. They want to know that there is a real person behind the screen. When you write blog posts, make sure your personality shines through them. Use your slang (as long as readers can understand it). Share your stories. There’s a few reasons why leaving your post alone for a few days before publishing it can be beneficial. Obviously, it’s easier to edit it for clarity and typos when you’ve distanced yourself from your work. It can also help you stay on message better. Sometimes when we first write a blog post, we pour all of our thoughts onto the “page” in a haphazard fashion. This method can be very useful, but should not be published immediately. Just because your first draft made sense to you when you wrote it doesn’t mean it will make sense to your reader. Taking a break from your work before returning to it helps you iron out those tangents and unclear points. Being a writer always requires some level of vulnerability. You are sharing parts of yourself and hoping your reader likes it. There is inherently the risk that they won’t like it, and that could hurt for a writer. While there’s nothing wrong with feeling hurt after receiving negative feedback, bloggers do need to develop thick skin. Instead of hiding away or limiting how much of yourself comes through your blog posts, take the risk. Let yourself be vulnerable. The thick skin comes after. I understand it’s kind of contradictory to tell bloggers to work at their writing and then turn around and tell them that they don’t need to aspire to the Bard. But what I’m saying here is that while you should always strive to improve, you don’t need to get bogged down with fancy language and flowery prose. Your content is more important than your writing style. Do your best as a blogger to balance clear, readable messages with an effort to improve your writing. A huge chunk of what attracts readers to your blog post is the headline. 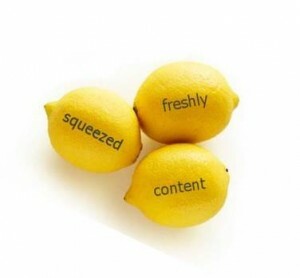 Your headlines must be compelling and meaningful – no clickbait! Use keywords and strong, attractive words to really juice them up. Make sure that your blog post keeps the promise that your headline is making; otherwise, your headline really is clickbait and you will disappoint your readers. Use title generators if you’re having difficulties creating headlines on your own. Pay attention to the types of articles you read online and what their headlines are. Write a few different headline options before choosing the best one for your blog post. For all writers, sitting down and creating when inspiration strikes is the ideal. However, it’s not the norm. Most of the time, writers have to struggle. Their craft does not come easily. And for bloggers, it’s especially important that you publish new content consistently. Instead of waiting for the perfect muse, sit down and write even when it’s difficult. Some writers choose an hour in the morning before doing any other activity. Some writers challenge themselves to write 500 words a day. Pick a method that’s best for you. The most important part is the consistency. Writing is a lot like exercise in this way – the more endurance you build up, the easier it gets. Don’t forget that you are still a marketer. Calls-to-action compel your reader to complete an objective, whether it’s moving on to a similar post, leaving a comment, or sharing your post on social media. Oftentimes buttons, like social media buttons, are an adequate CTA on their own. Just don’t let those be your only CTAs. Pay attention to the CTAs other bloggers use. Frequently, they will use a question that starts a conversation. “What do you think about this issue?” can be compelling enough to motivate readers to leave a comment or respond on social media. If you constantly work on improving your CTAs, you can avoid making them trite. If a topic bores you halfway through writing it, what makes you think your readers are going to stick around that long? Pick topics that inspire you, bug you, make you angry, make you happy, etc. Don’t be afraid of controversy or picking a side. You’re blogging at least in part to share what makes you, you. Your opinions on certain topics, even if they aren’t popular, are necessary to complete that. And they make for much better reading – even if your audience is incensed, they are still on your website, right? Yes, you’re the expert here, but that doesn’t mean your knowledge base is limitless. Make sure you can back up what you are saying with some outside sources. At least brush up on a topic before ignorantly making statements about it. Just don’t forget to properly cite your sources in your blog post so that you aren’t plagiarizing. What’s the best writing advice you’ve ever been given as a blogger? Let us know in the comments!